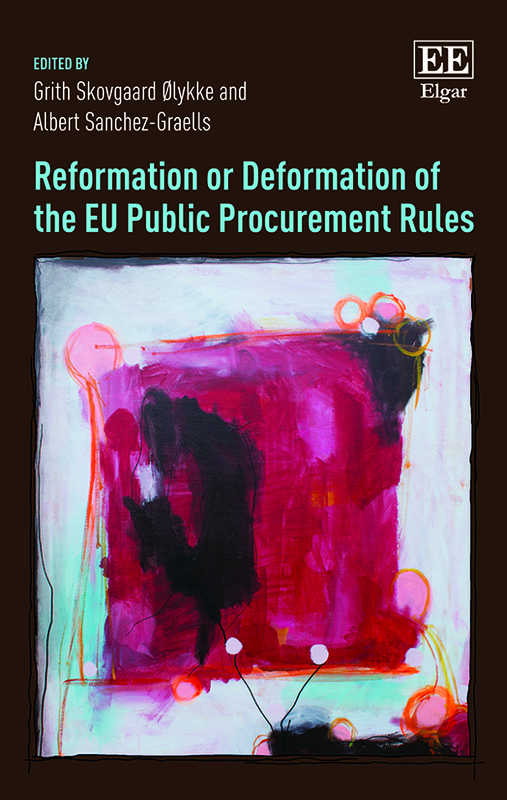 Using an innovative interdisciplinary ‘law and political science’ methodology, the book carries out a critical assessment of the reform of the EU public procurement rules in the period 2011-2014. It does this by a detailed assessment of the initial Commission proposal for new rules, the travaux preparatoires behind it, as well as the several inter-institutional negotiation and compromise texts that resulted in the 5th generation of EU public procurement directives in 2014. The book provides a rich account of the policy directions and the spaces for national regulatory decisions in the transposition of the 2014 Public Procurement Package, as well as areas of uncertainty and indications on how to interpret the rules in order to make them operational in practice. It covers the main novelties of the 2014 Public Procurement Package, including e.g. the new rules on eProcurement, aggregation and allotment of demand, the use of labels for environmental and social purposes, the modification of contracts during their term, or the new rules on concessions. In doing so, it takes a very distinctive analytical perspective. Most EU public procurement law research focuses on the content of the rules and the impact of the case law on their interpretation and application. It rarely discusses how the CJEU’s case law influences the creation of new rules, or the way EU law-makers enact them – issues which, conversely, are a staple for political scientists. By blending both approaches, the book finds that political science provides a useful framework to describe the law-making process and shows that the influence of the CJEU was significant. 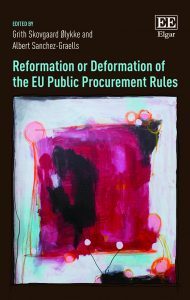 Though the specific case studies identify many positive reforms and advances compared to the previous 2004 rules, the ultimate assessment is that EU public procurement law was deformed as a result of the political negotiations. Offering a clear contribution to the emerging scholarship on ‘flexible’ EU law-making, this book’s novel methodology will appeal to scholars and students of both law and political science. Law- and policy-makers as well as legal practitioners will also find its practical approach compelling. And I will personally be interested in any feedback or reactions to the book, as well as any proposals on how to carry this new law and political science methodology forward in the future. If you are interested, please get in touch: a.sanchez-graells@bristol.ac.uk.